The wedding suit for the groom is just as important as the bride’s wedding dress. The wedding suit needs to fit the groom, be well fitted, allow him to feel comfortable and complement the bride’s dress and wedding theme. The style of the groom’s wedding suit will largely depends on the style of the wedding you are having. To get a well fitted suit, you need to get measured first. Have your tailor measure your waist size, arm length, shoulder size, chest width. The suit’s jacket must fit well, but also give you a range of motion, both buttoned and unbuttoned. The shirt cuffs should not roll up when you stretch out your arms. If you are wearing a vest with your wedding suit, it should button comfortably and hit just below the waistband of your pants. Every man wants to look stylish on his wedding day, but make sure you select a style and color that fits you the most. After all, nobody knows you like yourself. Take into consideration your height, body shape and your normal everyday style. Wedding suits, accessories and shoes are available for every budget, so there is no need to purchase a pair of shoes that will give you blisters or shirts with awfully stiff collars. The color of your wedding suit also depends on your preference. 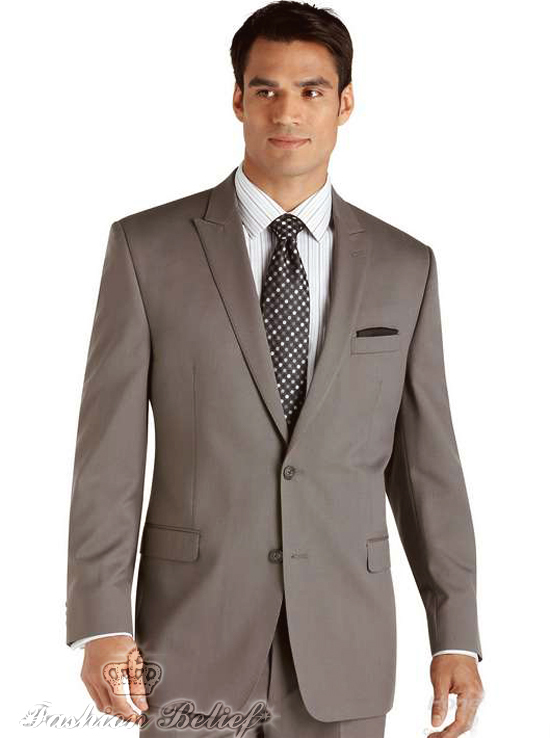 The current trend is to wear suits in lighter colors. Blue and grey are ideal for all seasons, while creams and whites wedding suits are the most appropriate for summer weddings. 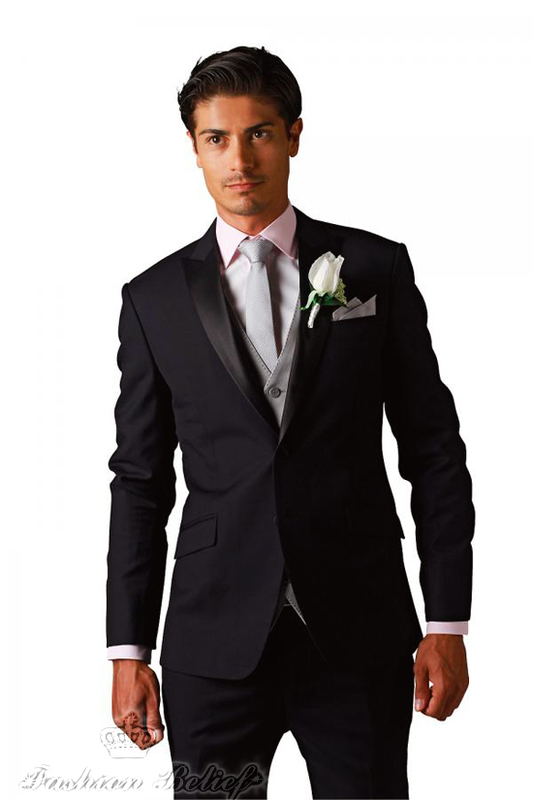 Keep in mind, that if you are planning on having a casual day-time wedding, the wedding suit is good enough, however, if you have planned a big wedding reception with over 500 guests, you might want to consider hiring the tuxedo. Take the time to shop around and try on a range of different ones until you find the right wedding suit.